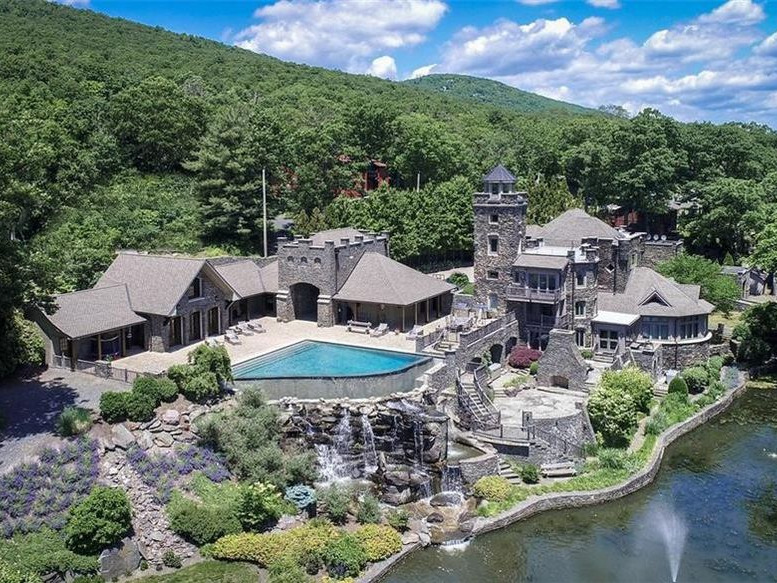 Jeter’s fortress comes equipped with five kitchens, a turret, a game room, an infinity pool, a replica of the Statue of Liberty, and much more. 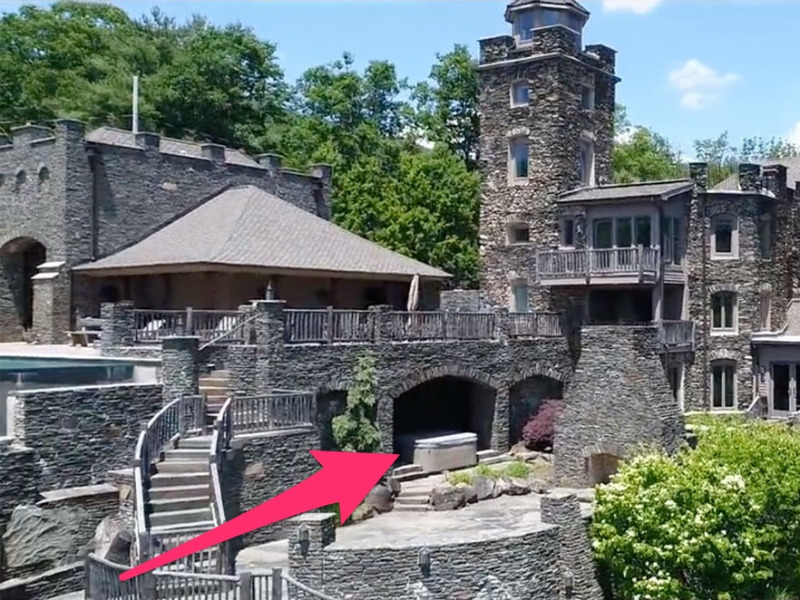 At one point, the New York Yankees superstar shortstop Derek Jeter was the king of New York, so it’s only fitting that the five-time World Series champion lived in a castle. 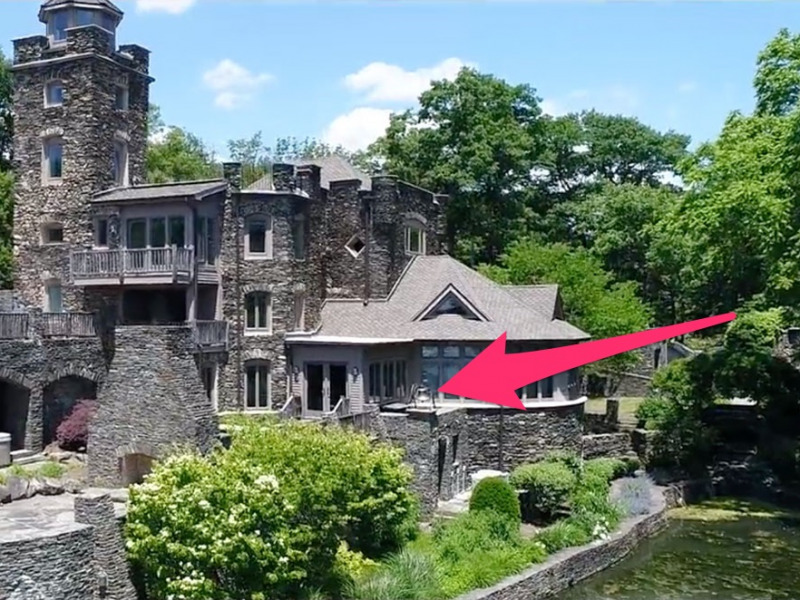 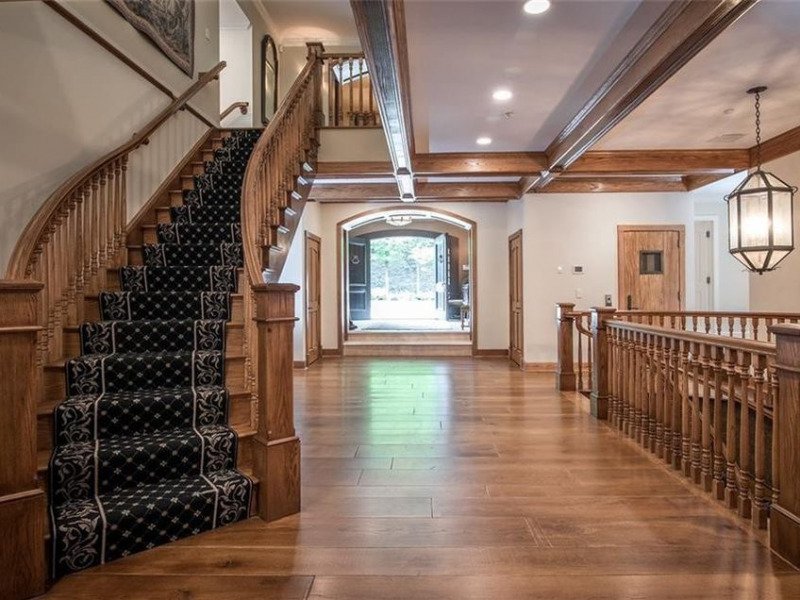 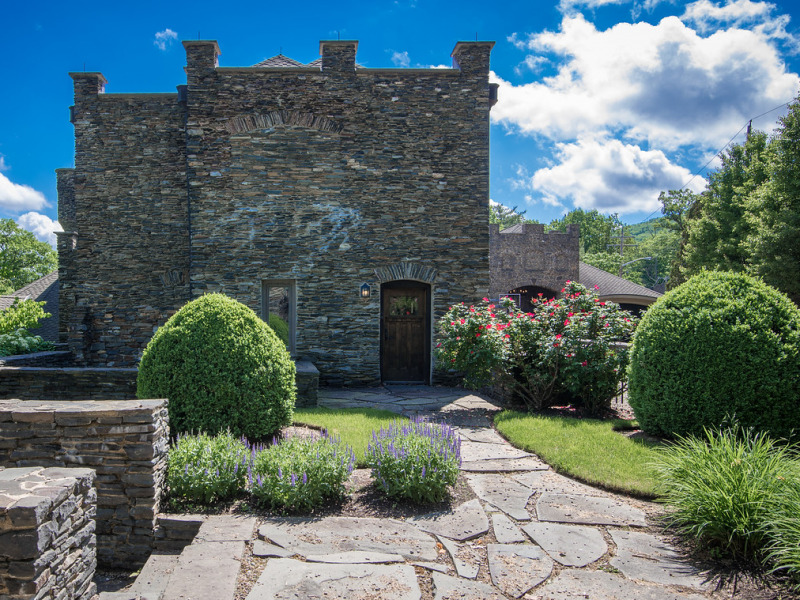 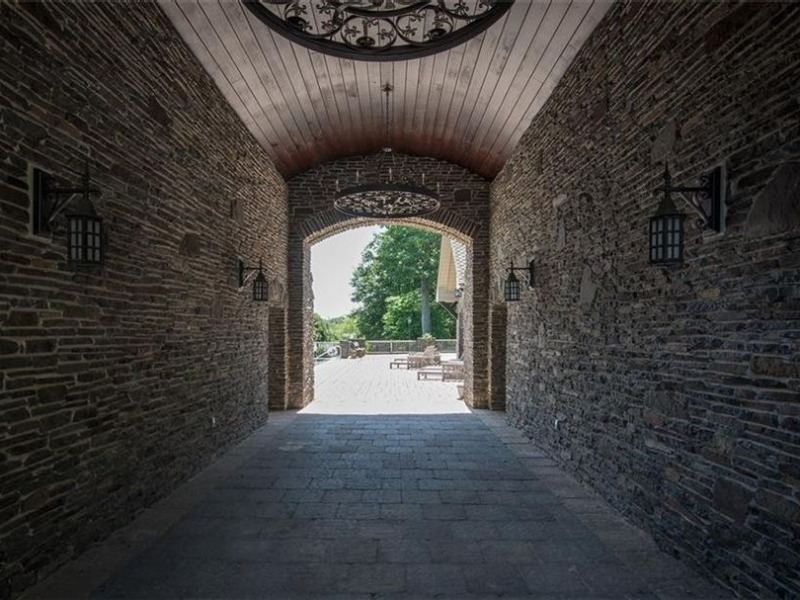 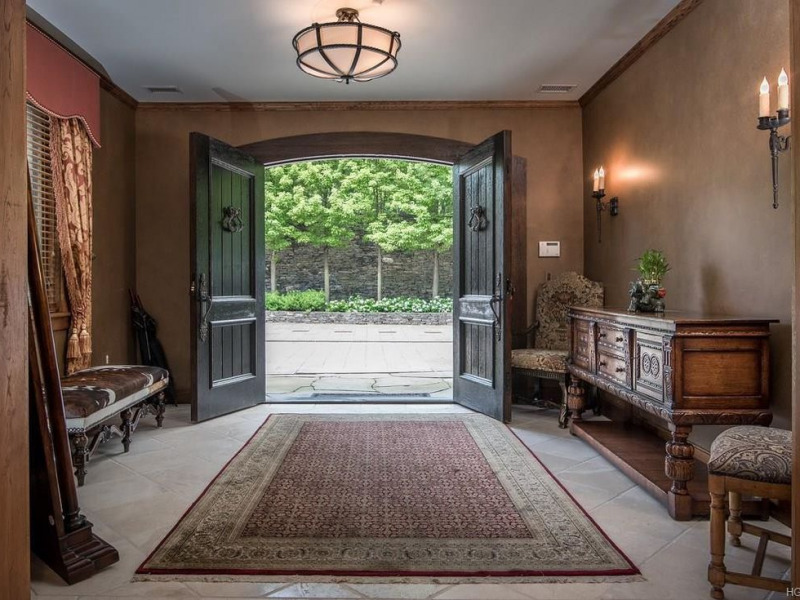 The castle, which is roughly 45 miles northwest of Yankee Stadium, appeared on the market in June 2018 and is listed for a whopping $14,750,000. 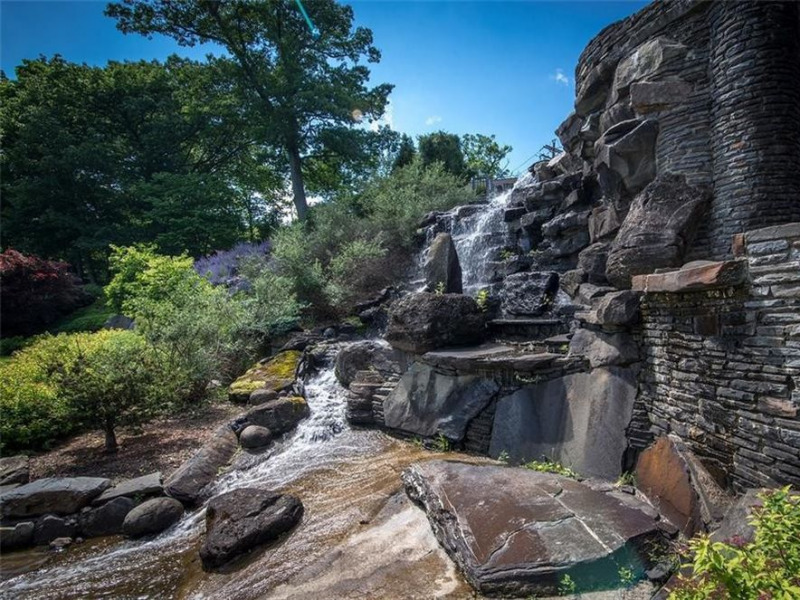 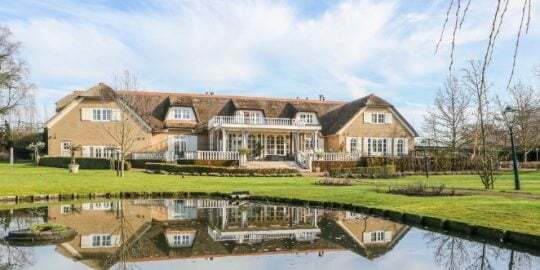 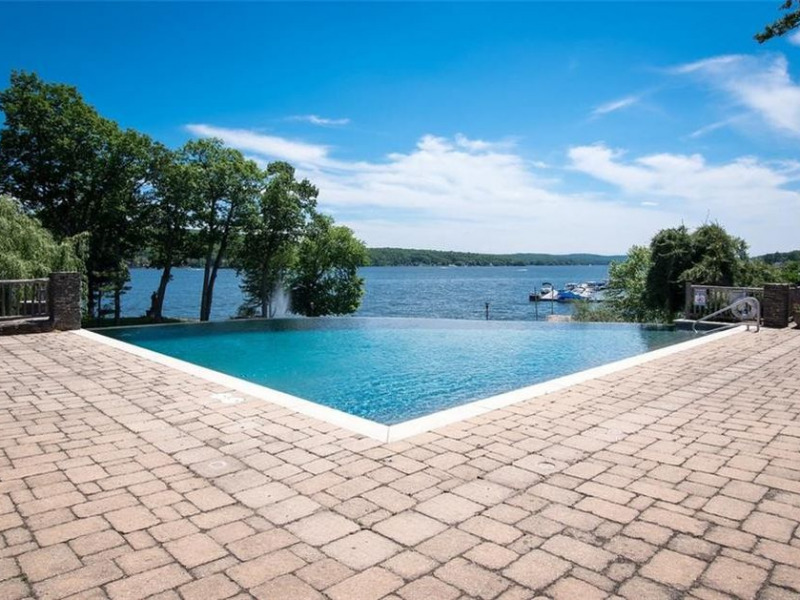 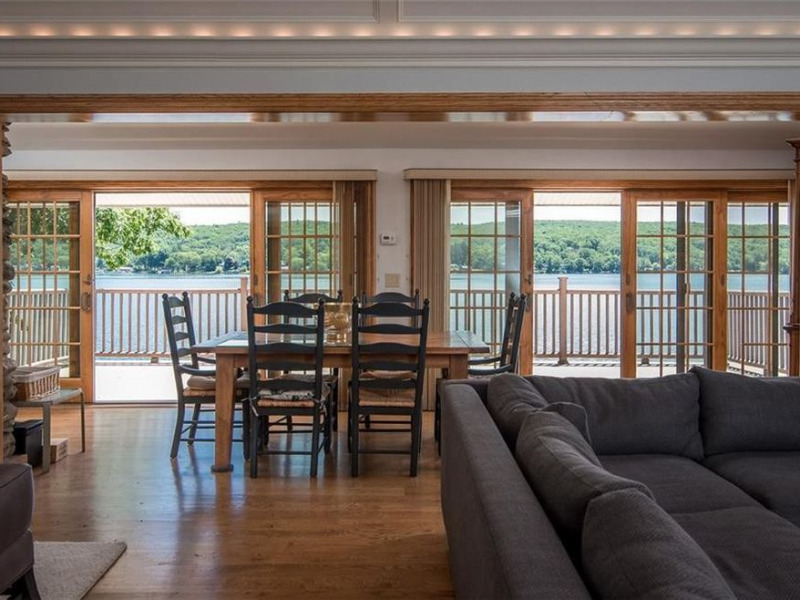 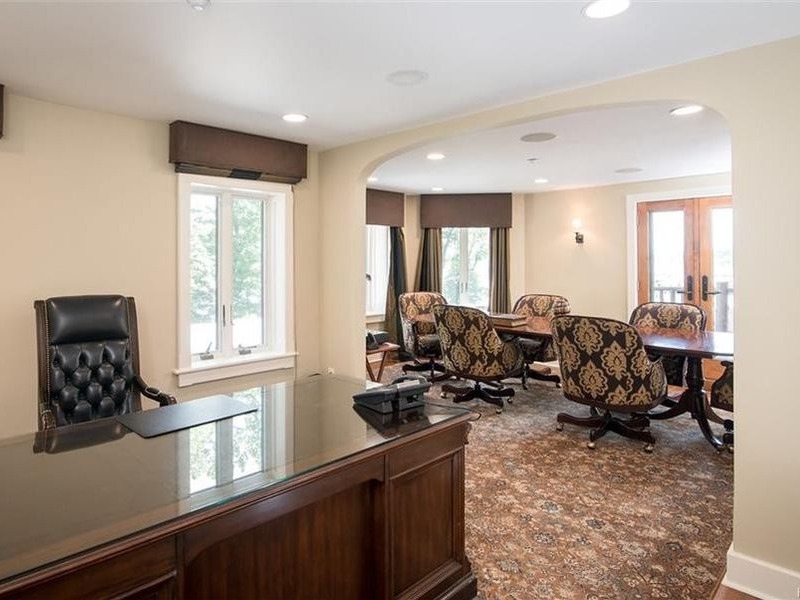 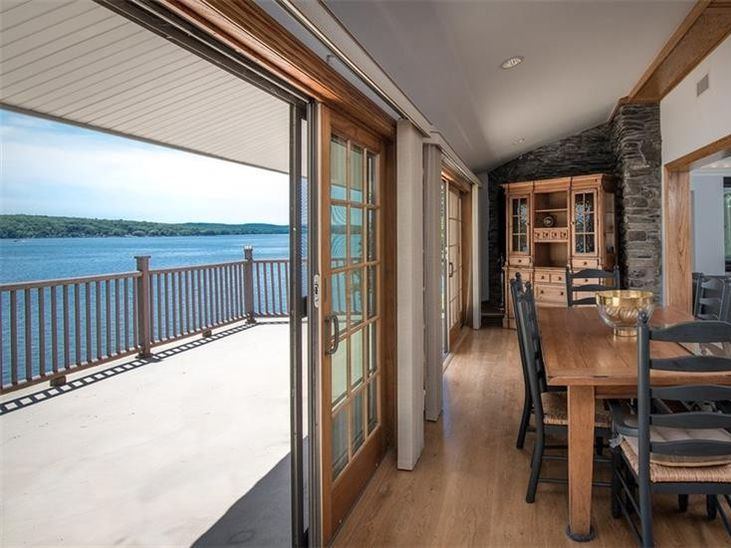 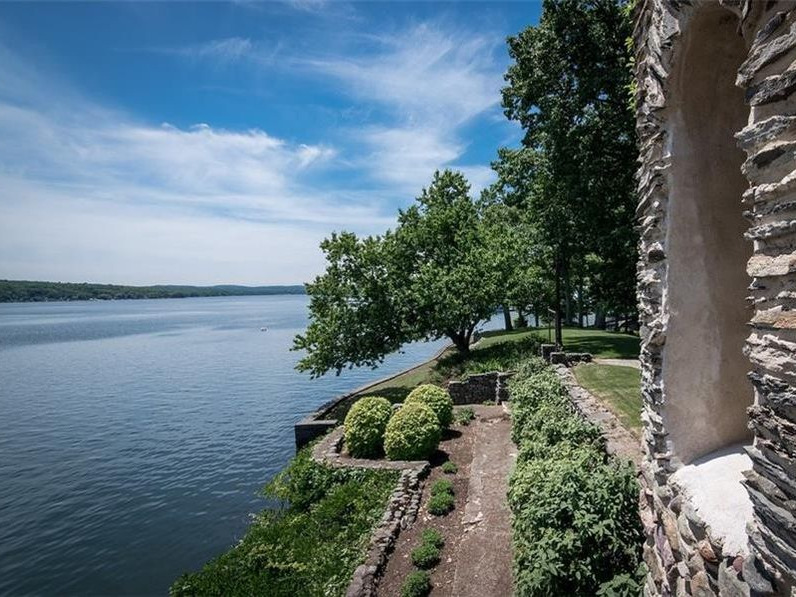 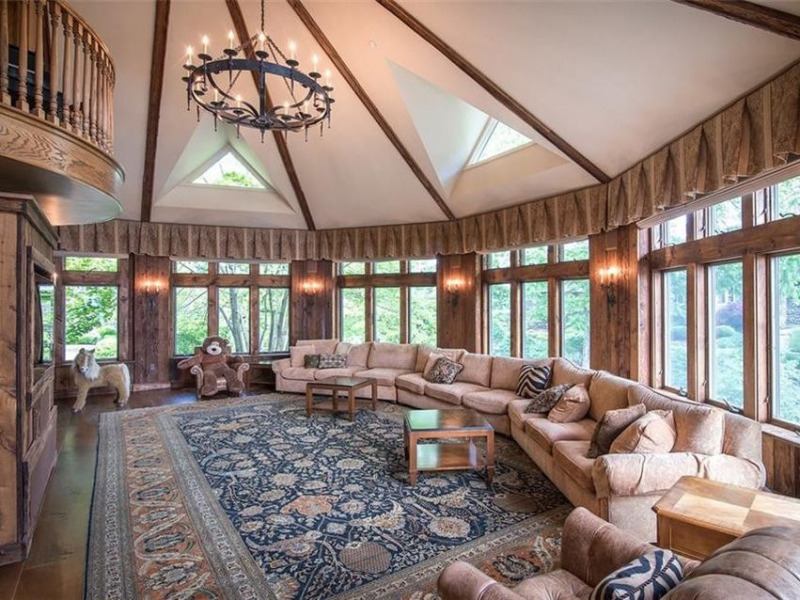 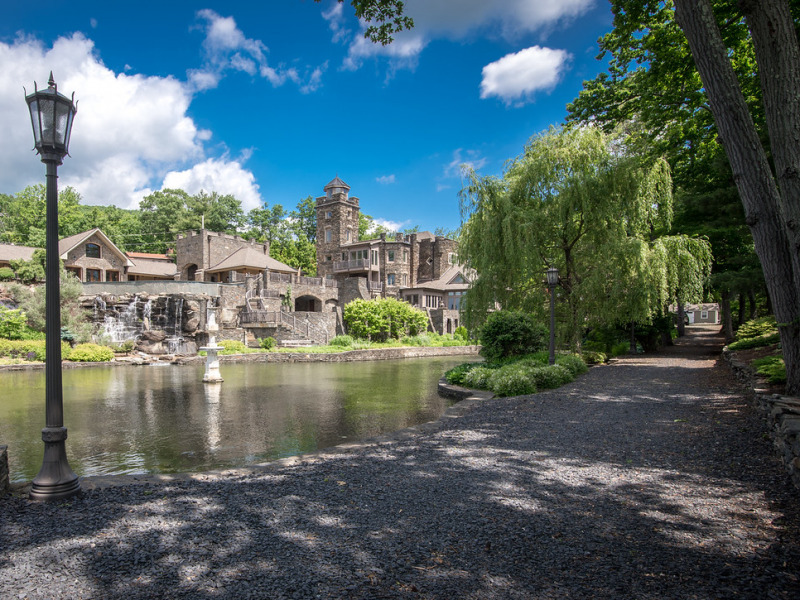 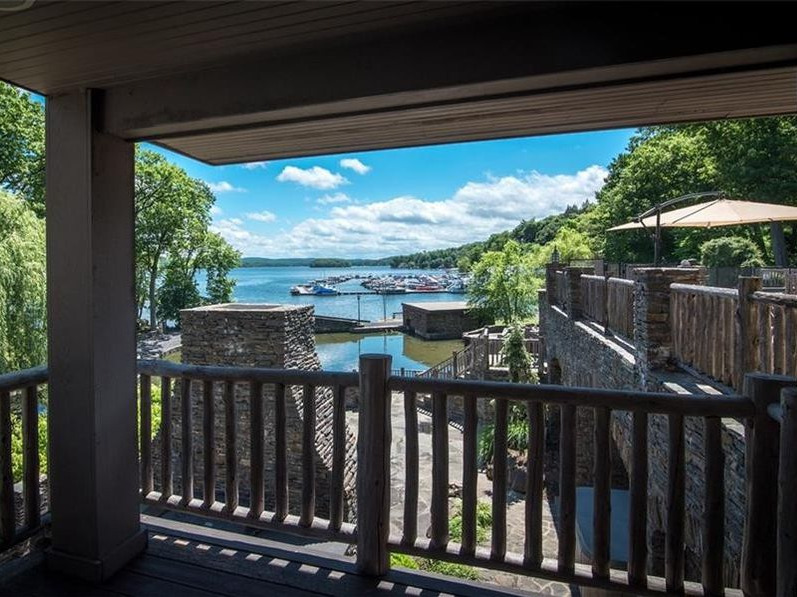 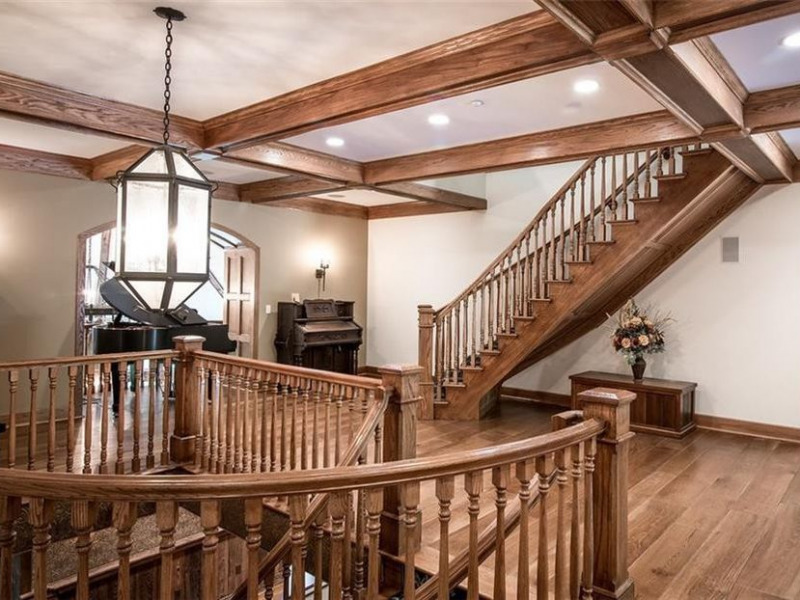 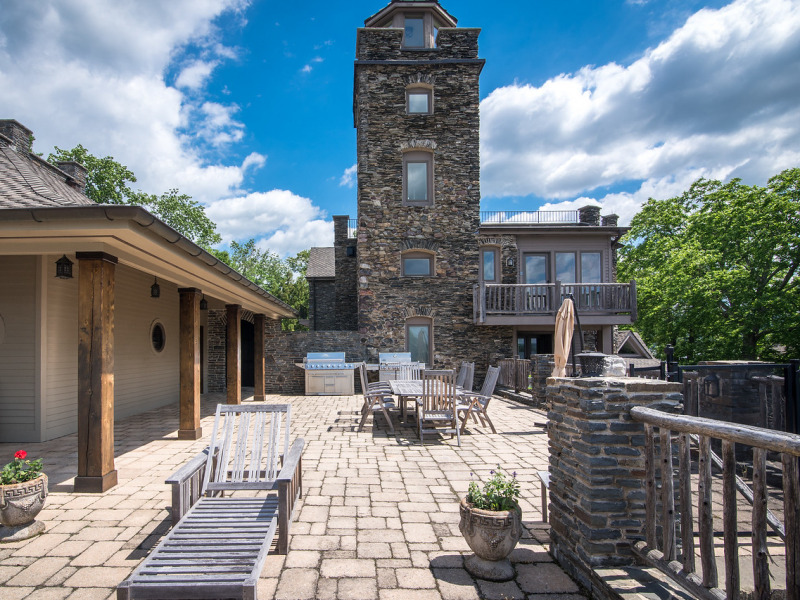 Jeter’s lakeside palace – affectionately dubbed the “Gem on the Lake” in the official listing – features nearly 700 feet of shoreline, five kitchens, a turret, a game room, an infinity pool, and a replica of the Statue of Liberty. 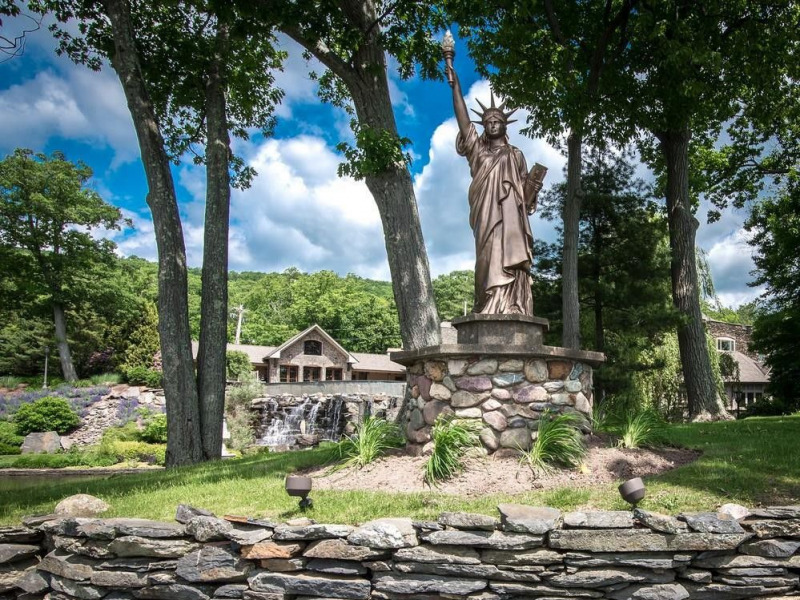 There’s a replica of the Statue of Liberty, too. 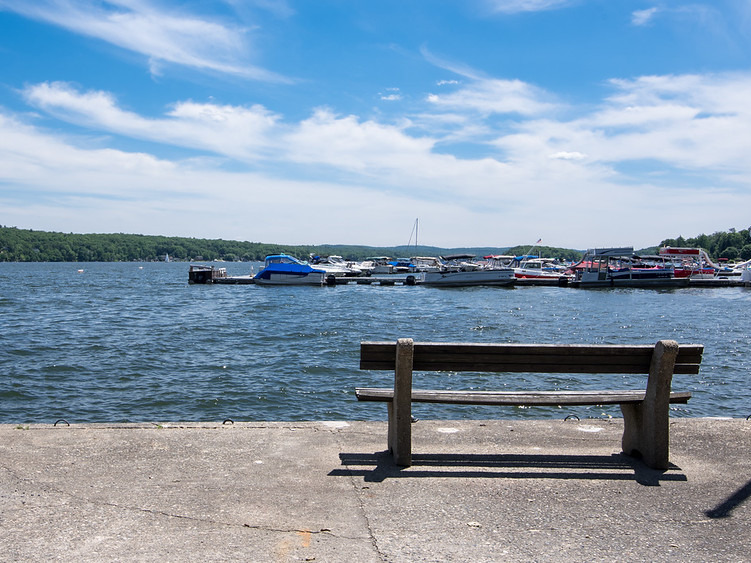 … or sit and watch boats pull into the marina. 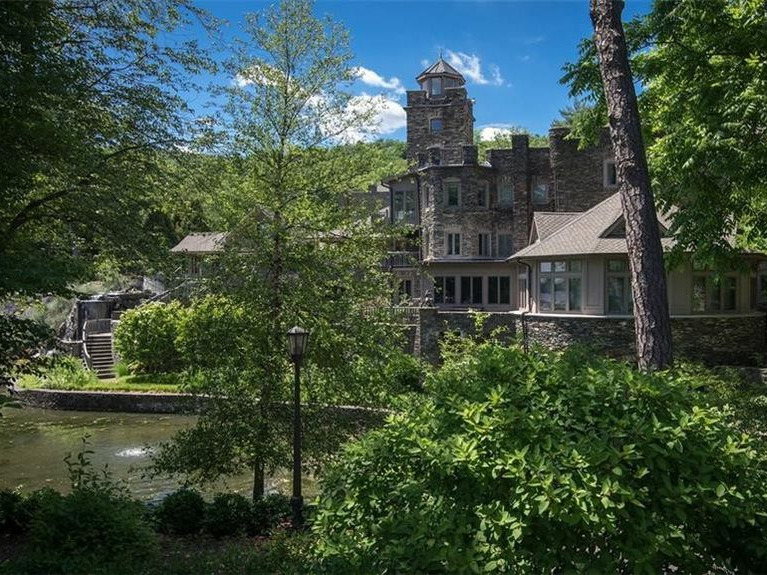 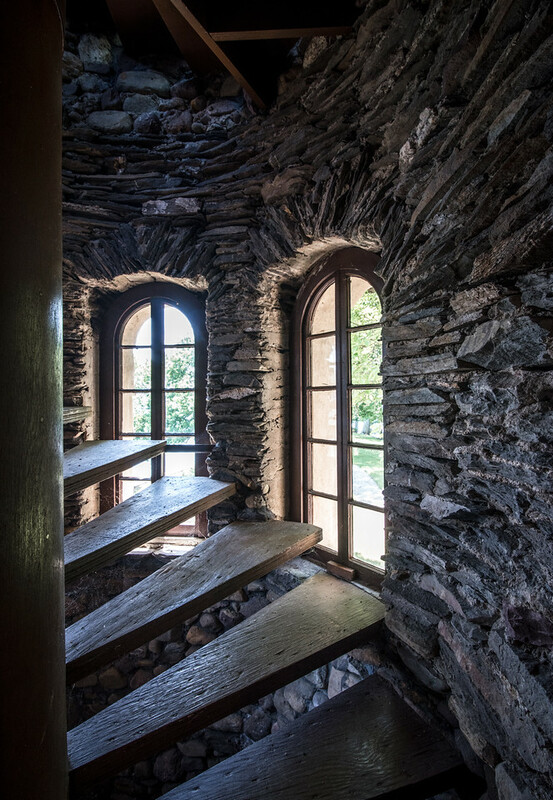 The house’s grandest feature — a multistory turret — sits alongside the river. 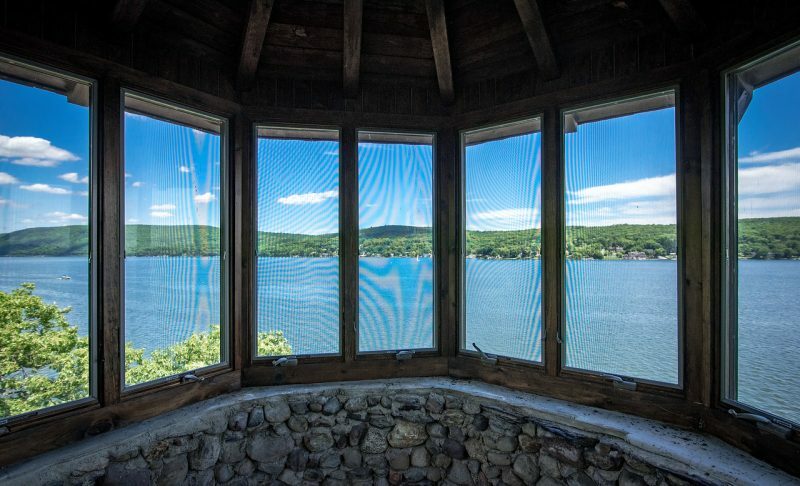 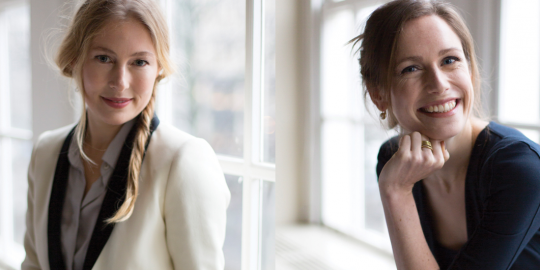 … the view from the top is definitely worth it. 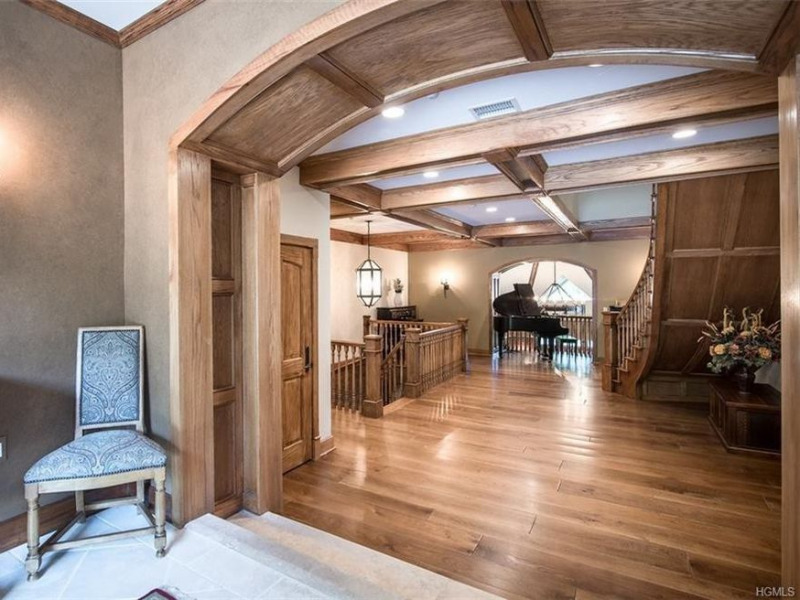 Here’s another look from the other side. 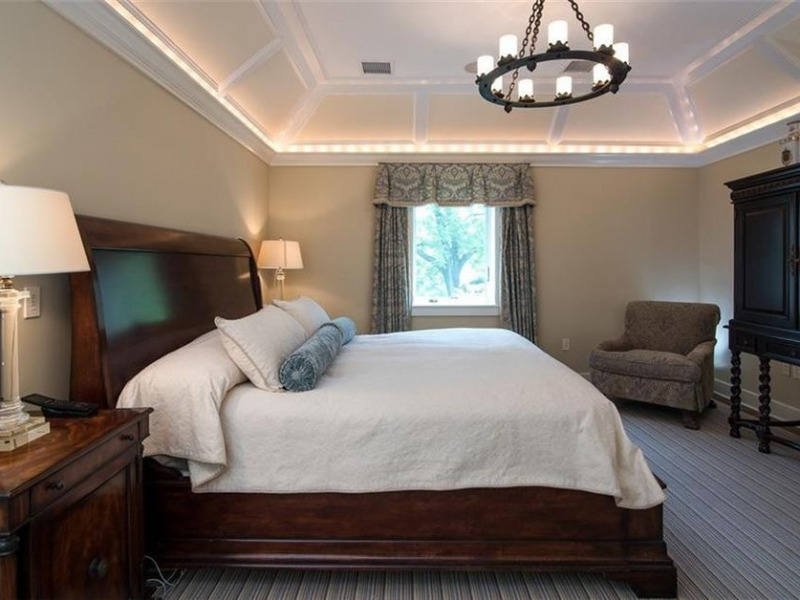 It’s filled with spacious rooms and tall ceilings. 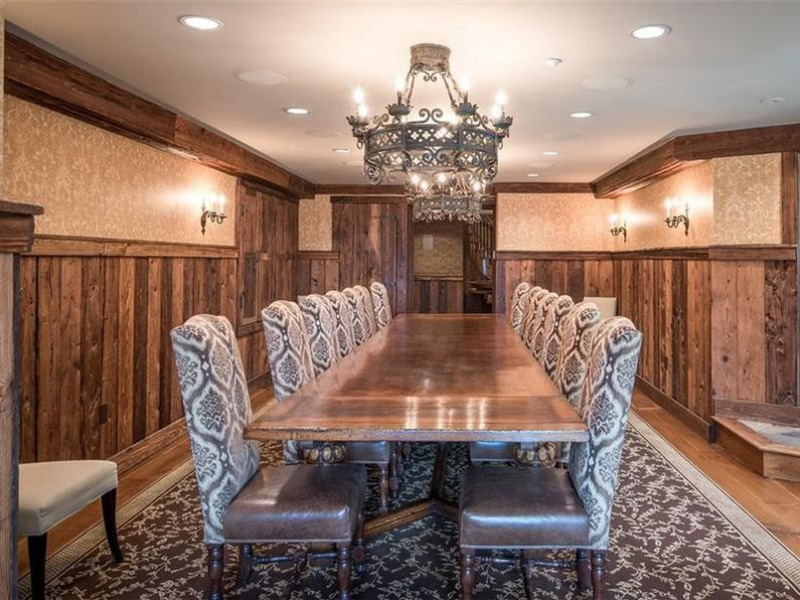 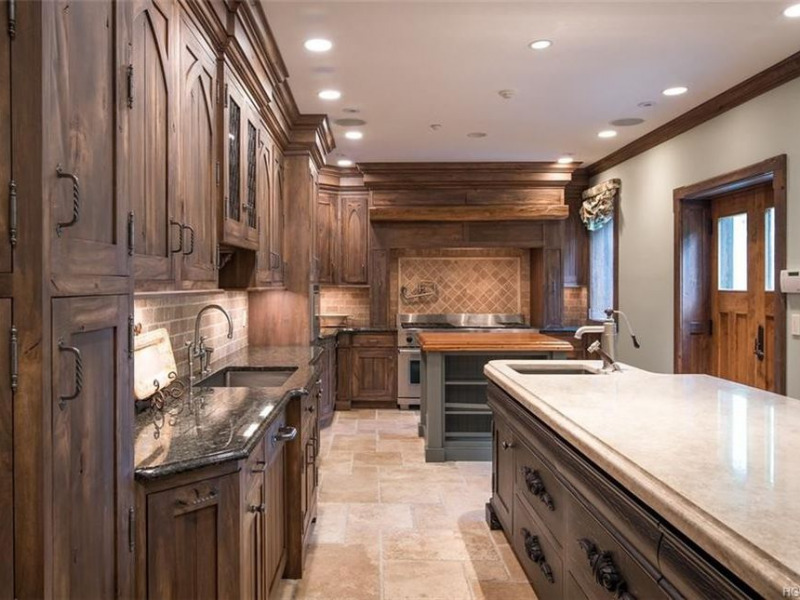 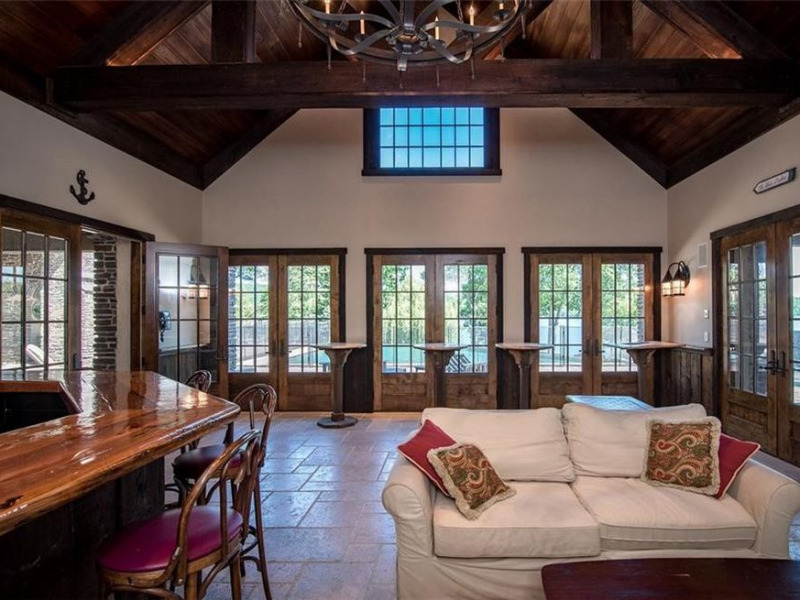 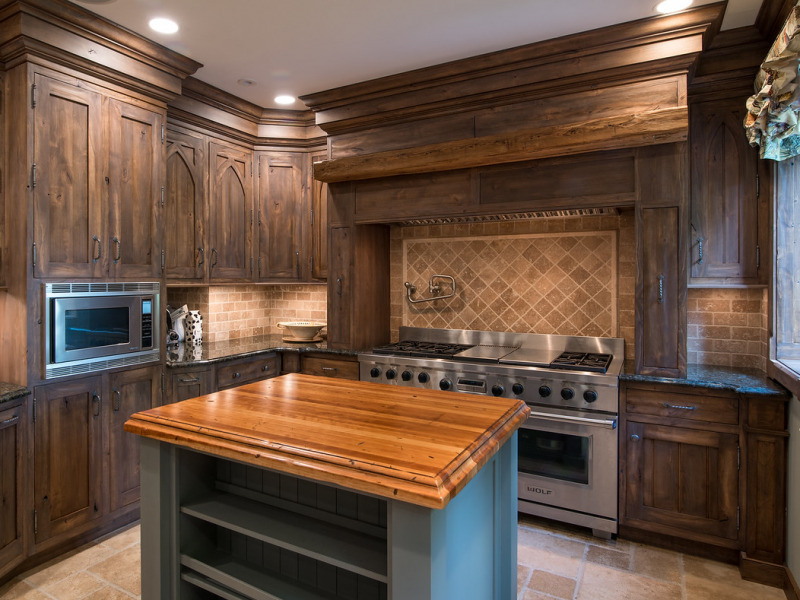 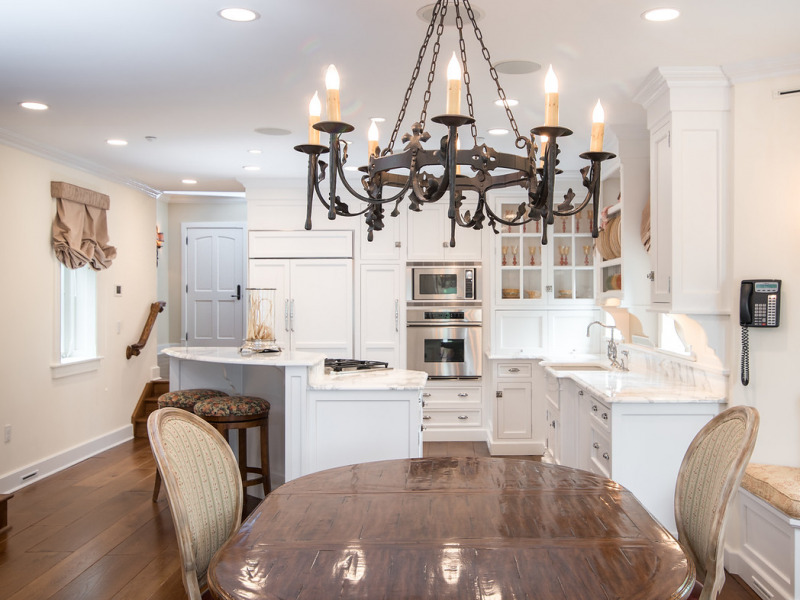 With a breakfast nook, an island, and a big kitchen table, this kitchen looks like a gathering spot in Jeter’s castle. 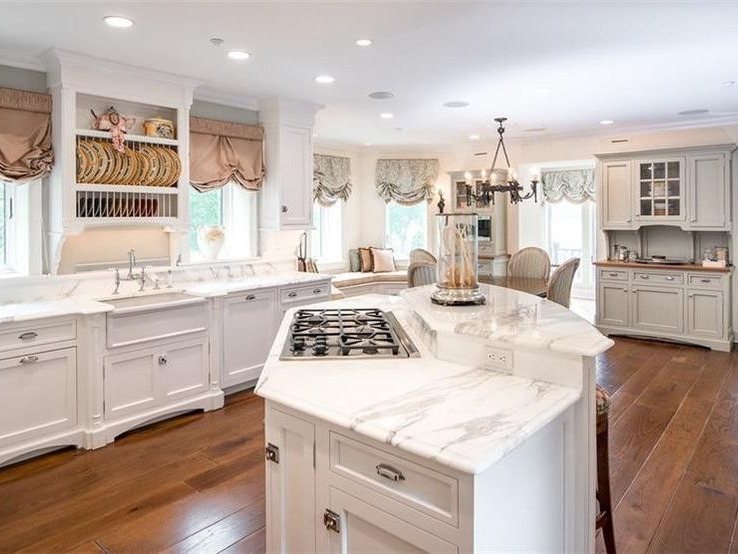 It’s really a chef’s dream. 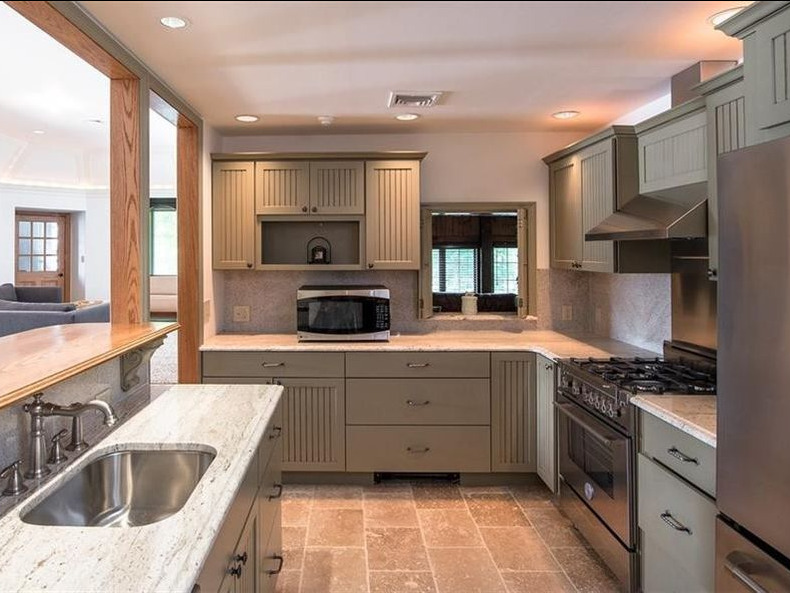 And here’s a third kitchen. 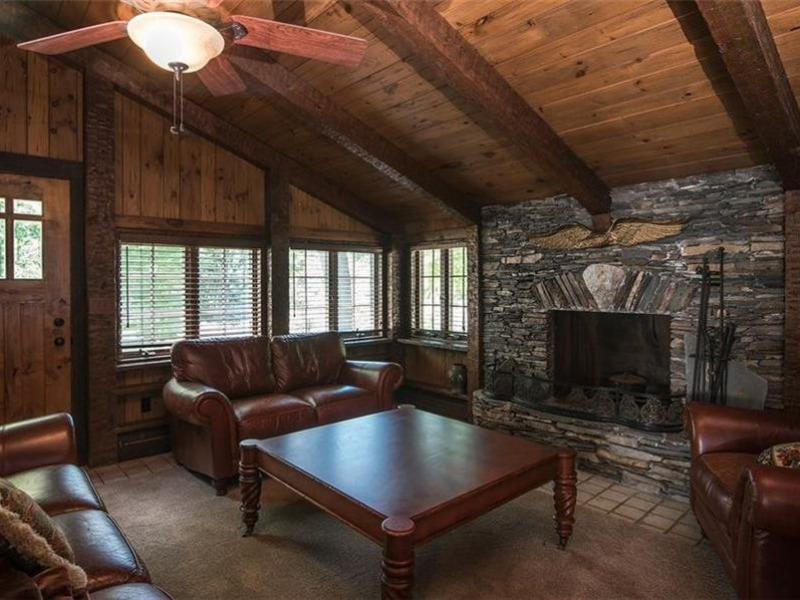 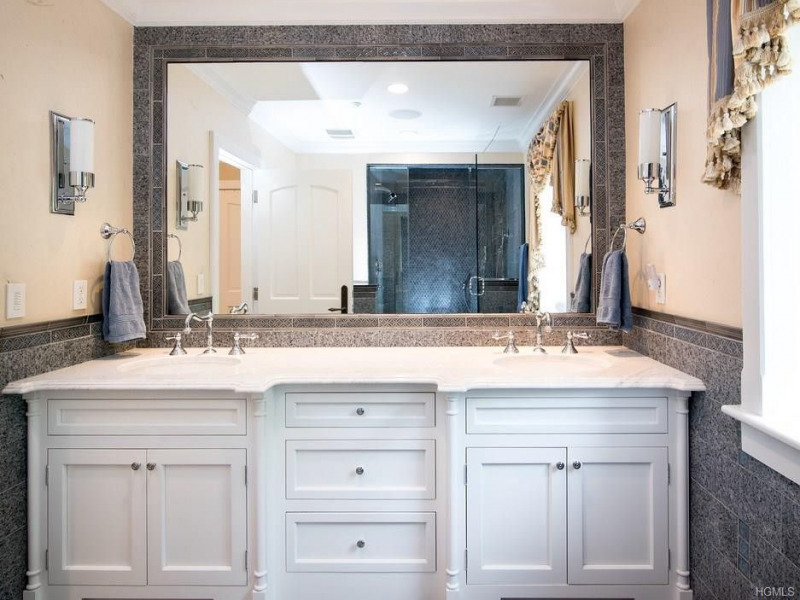 … and five half baths. 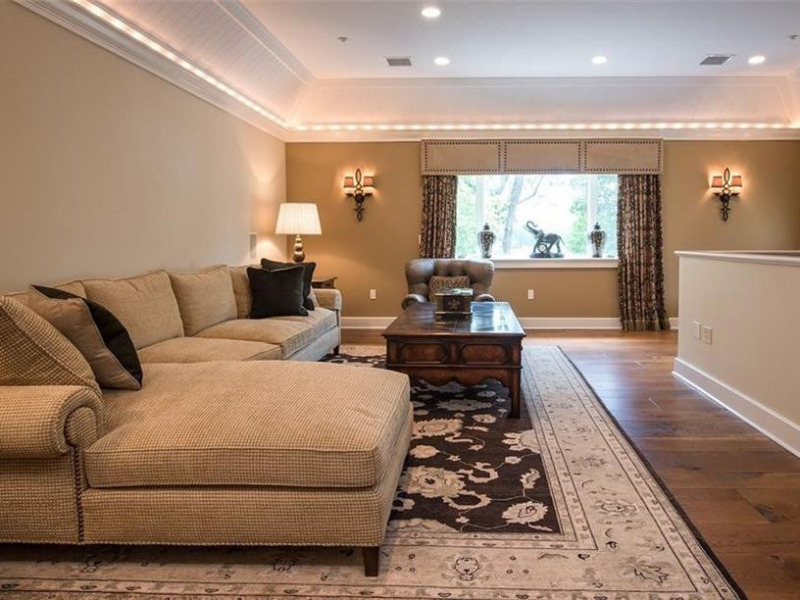 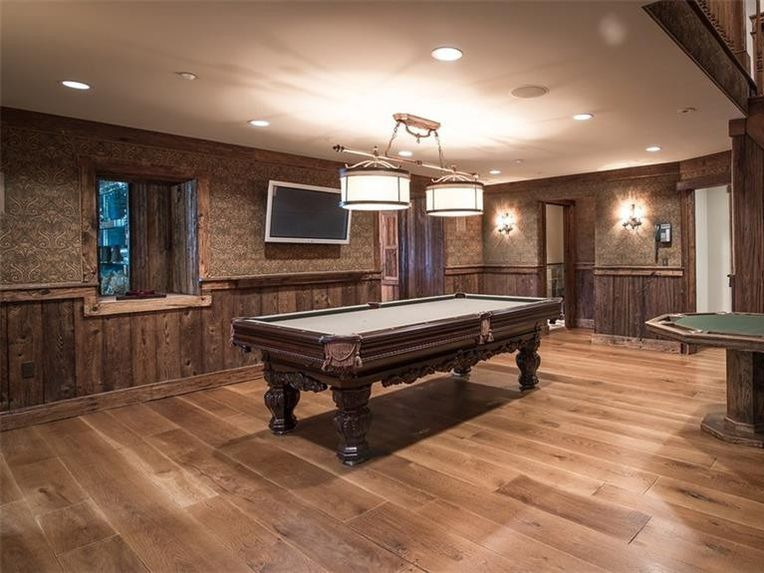 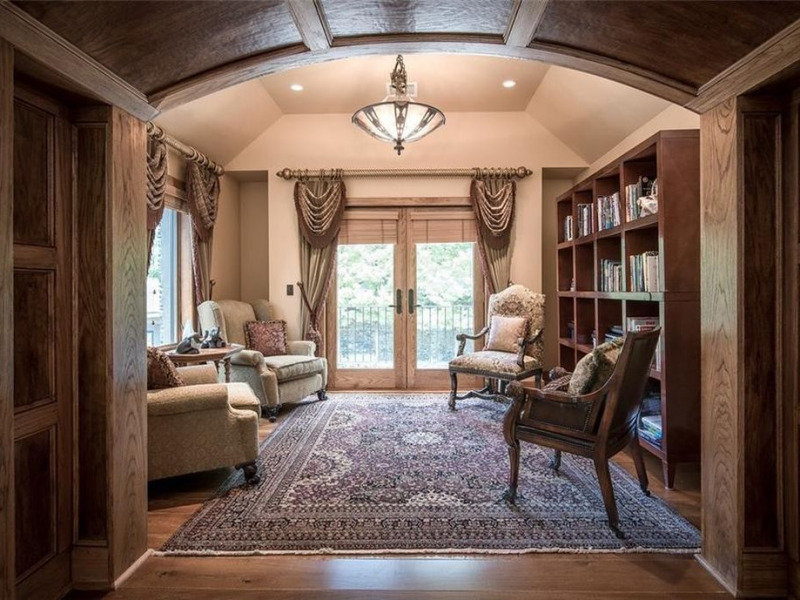 But the house is also equipped with an awesome game room for when it’s time to kick back and relax. 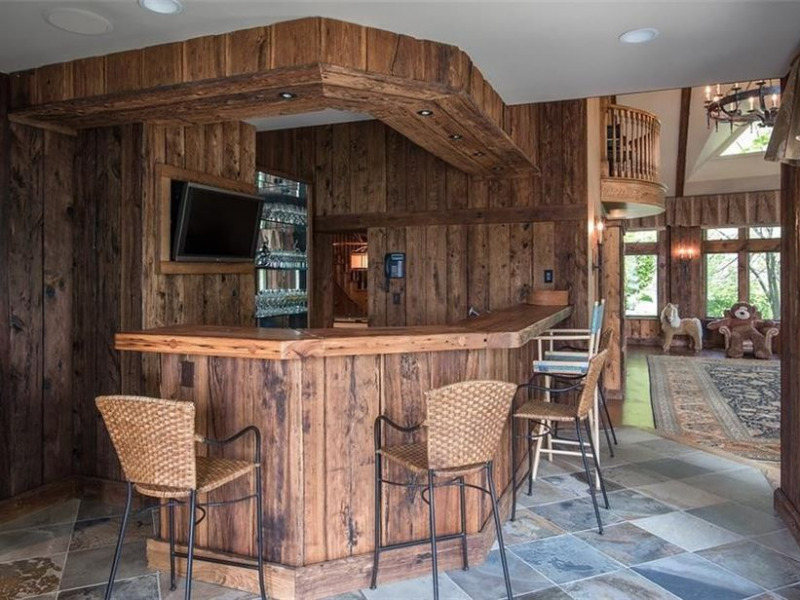 And it has a bar that’s great for hosting. 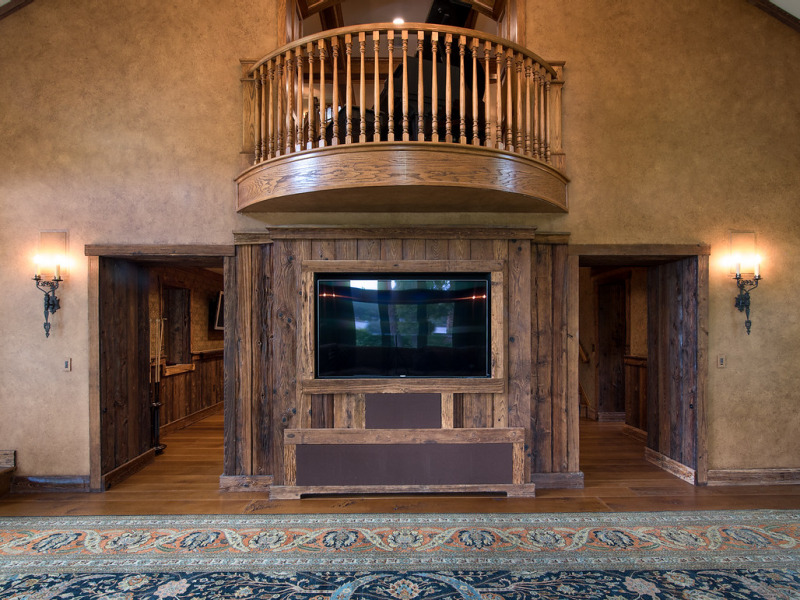 It’s the perfect place to catch a game or watch a movie. 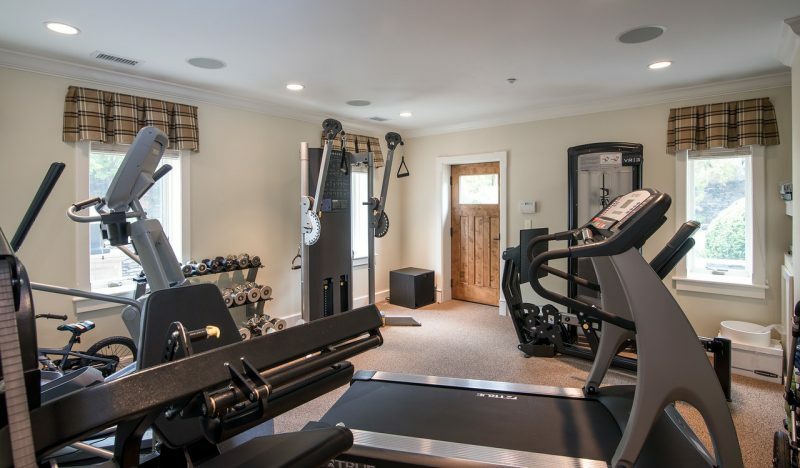 There’s a home gym where you can get in some MLB-caliber reps.
There’s an outdoor kitchen nearby. 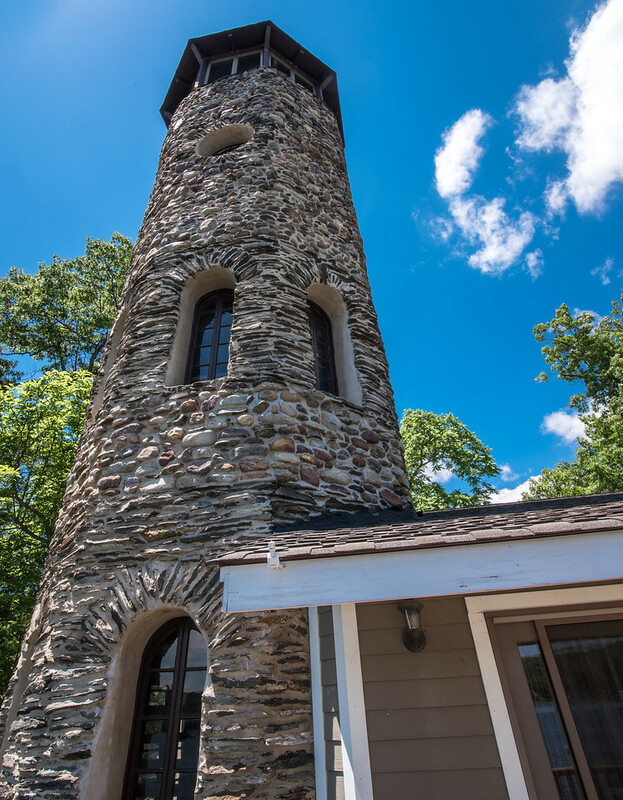 … and a giant bell. 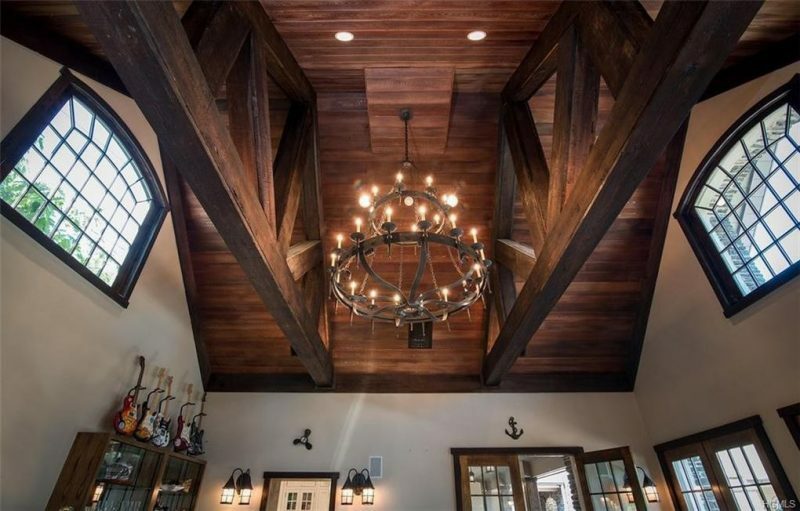 Frankly, we aren’t sure what that’s for. 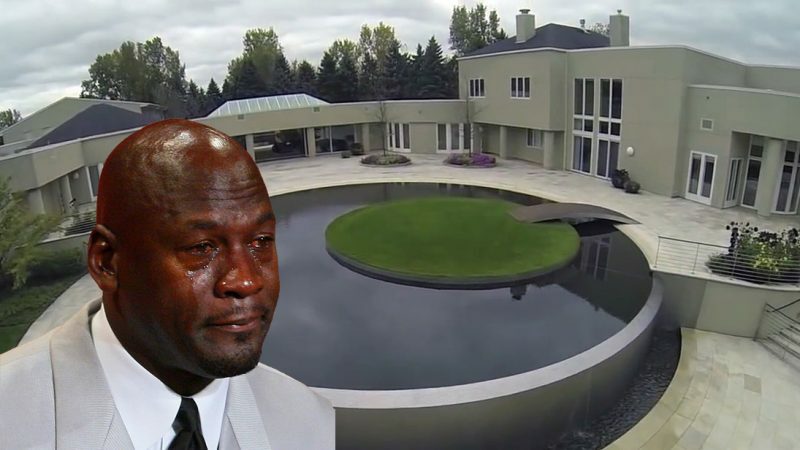 There’s plenty of garage space for Jeter’s luxury cars. 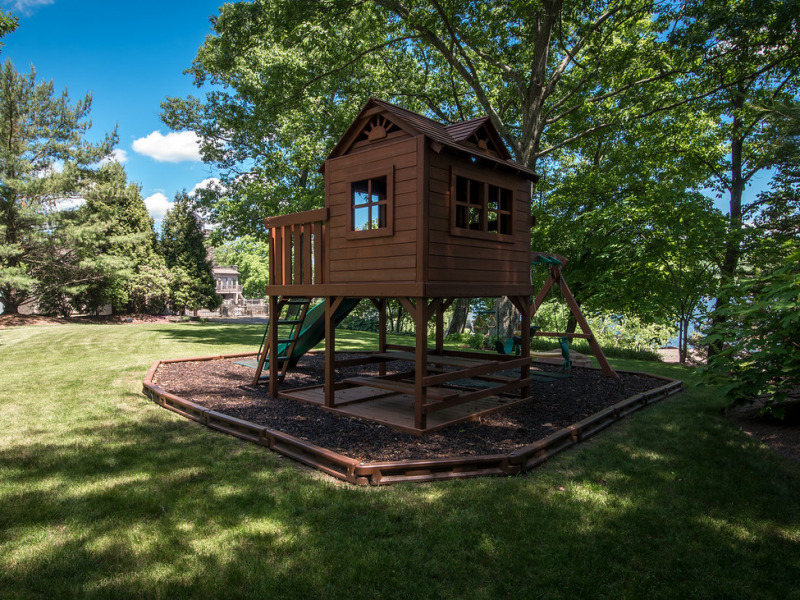 And there’s a jungle gym for the kids. 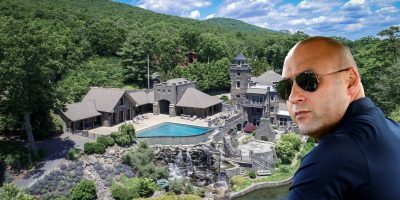 So it’s somewhat surprising that Jeter hasn’t found a buyer for the New York fortress. 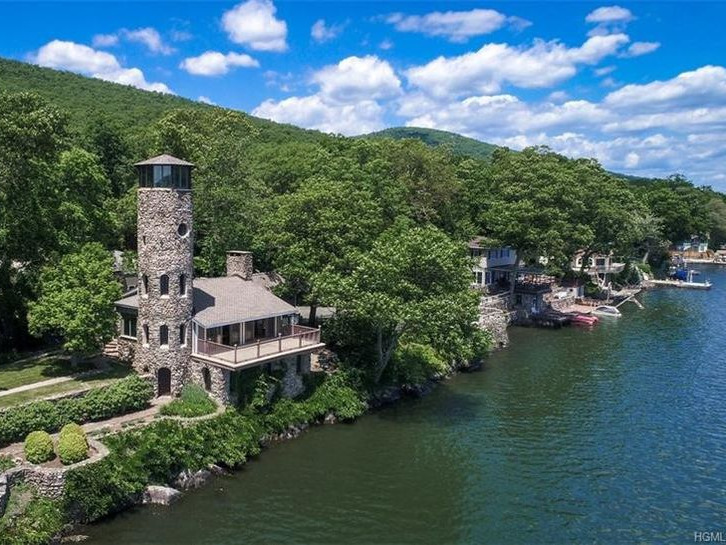 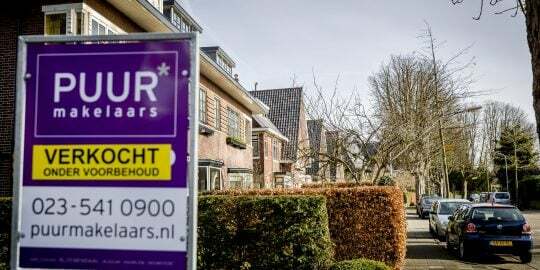 Of course, the former Yankee is estimated to be worth $185 million, so he can afford to wait for the right owner to come along and purchase his old pad.